Throat cancer is a general term that refers to the malignant tumors arising in the pharynx, larynx (voice box), and tonsils. Laryngeal cancer, though linked to numerous risk factors including smoking and excessive alcohol consumption, has also been associated with workplace asbestos exposure. Similarly, pharyngeal cancer can develop as a result of inhalation or ingestion of asbestos fibers. If you or your family member have developed symptoms of throat cancer and had been exposed to asbestos at the workplace in the past, contact our specialized attorneys who will help you recover the financial compensation you are entitled to. Throat cancer has been linked to asbestos exposure by Institute of Medicine (IOM) panel in the year 2006. The panel concluded that studies in the past have suggested a “causal relationship” between asbestos exposure and laryngeal cancer. As per the study conducted by the National Institute of Health in 2006, the chances of developing laryngeal cancer increases with the amount of asbestos an individual breathes in. The people exposed to asbestos are at a 40% higher risk of developing laryngeal cancer than those with no asbestos exposure. People working in occupations such as smelting/mining, textile, and construction are at 2-3 times greater risk. Moreover, people heavily exposed to asbestos were found to be 157% higher risk. The American Journal of Industrial Medicine published the results of a 10-year follow-up study which included 14,515 male subjects. This study established that a relationship exists between asbestos exposure and esophageal cancer. It is well-established that asbestos-related cancers such as lung cancer and mesothelioma develop when the inhaled asbestos fibers start accumulating in the lungs. Naturally, these fibers pass through the larynx before reaching the lungs. The asbestos fibers penetrate the laryngeal tissues and get embedded in its lining leading to severe inflammation and cancer. Apart from the inhalation of the asbestos fibers, coughing up sputum that contains asbestos can also cause the fibers to attach to laryngeal tissues. A study conducted in 2006 by the US Senate Committee and the National Institute of Health revealed that a higher risk of pharyngeal cancer was seen in asbestos workers. However, as pharyngeal cancer is quite rare, there are only a few studies available to assess the association between pharyngeal cancer and asbestos exposure. Also, there is a lack of information on the dose-response relationship though the evidence suggests an increased risk of pharyngeal cancer among asbestos-exposed individuals. Asbestos-related diseases in the early stages often mimic other common respiratory disorders. Misdiagnosis occurs when throat cancer is wrongly diagnosed as a common cold and sore throat. Differentiating throat cancer from other diseases can be quite challenging and for this reason, we recommend seeking a second opinion from a pulmonologist who specializes in asbestos-related diseases. Getting diagnosed correctly at an early stage is important as it opens to you the most effective treatment options and increases your chances of survival. It is worthy to note that about 84% of patients who have been diagnosed in stage 1 have been able to survive for more than 5 years. An accurate diagnosis of your condition, on the other hand, helps you recover the right amount of financial compensation from the asbestos trust funds. If you have been exposed to asbestos at your workplace, make sure you receive annual health screening to rule out signs of asbestos-related diseases. If you have been diagnosed with throat cancer after asbestos exposure at work sites handling asbestos or its products, you may be eligible to file a claim with the asbestos trust funds of your former employers. You will need to initiate the legal process as soon as possible and seek legal assistance. 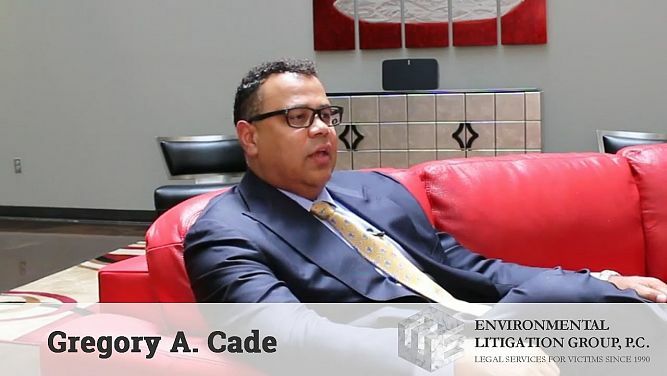 At Environmental Litigation Group, P.C., our legal team will thoroughly evaluate your case and check whether you qualify to file a claim. In the event that you are found eligible for compensation, our team will take care of the further steps involved in the legal process including preparation and submission of the required documents so that you can completely concentrate on your health. Our law firm has been successful in recovering compensation of over $1.4 billion for asbestos victims so far and will certainly help you, too. Our standard fee is a 40% contingency fee. Which means we only collect the fee when we are able to collect settlements or claims for a client. If we do not collect anything, our clients are not out any money out of pocket. Secondary asbestos exposure refers to the development of asbestos-related illness as a result of indirect contact with the toxic fibers. It was common in women who washed their husband’s work clothes and it comprises about 10% of patients with asbestos-related diseases. Even the victims of secondary asbestos exposure who have developed throat cancer may be entitled to receive compensation from asbestos trust funds. If they meet the eligibility criteria, they will be able to receive compensation from the asbestos trust fund set up by the employer for which their family member was working. However, it is better to seek assistance from a lawyer with good experience in asbestos litigation to pursue such claims as cases involving secondary asbestos exposure are challenging. Many reasons including unawareness or the fear of going through a long, cumbersome legal process to receive compensation could hinder filing a claim or even seeking legal assistance by asbestos exposure victims. However, if you have lost your family member who was an asbestos-exposure victim, get in touch with a lawyer specialized in handling asbestos exposure cases to check out whether you can claim your rightful compensation from one or multiple asbestos trust funds. With more than thirty years of experience in handling asbestos litigations, our attorneys will try to recover as much compensation your departed family member was entitled to receive. You will need to provide us with information regarding the victim's work history and medical records. After that, we will completely handle all aspects of the legal process and your involvement will be minimal. If it is established that the products manufactured by the company at which your family member was working were responsible for their illness, then you will be eligible to receive money from the asbestos trust fund that was set up by the employer. However, it is important to file a wrongful death claim within the statute of limitation period, which is 1-3 years and it may vary depending on the state you belong to. Therefore, it is necessary to seek legal assistance as early as possible for a positive outcome. How Do We Handle Throat/Laryngeal/Pharyngeal Cancer Cases? Our law firm has provided legal assistance to people with a history of asbestos exposure and a diagnosis of throat cancer. The process of recovering compensation in these cases is quite challenging compared to cases of clients with more serious illnesses such as lung cancer and mesothelioma. Our attorneys are knowledgeable and they will work towards getting the financial compensation that you are entitled to. Within about six months following the approval of your claim, you will receive your financial compensation from the asbestos trust fund. Throat cancer has been linked to asbestos exposure by Institute of Medicine (IOM) panel in the year 2006. 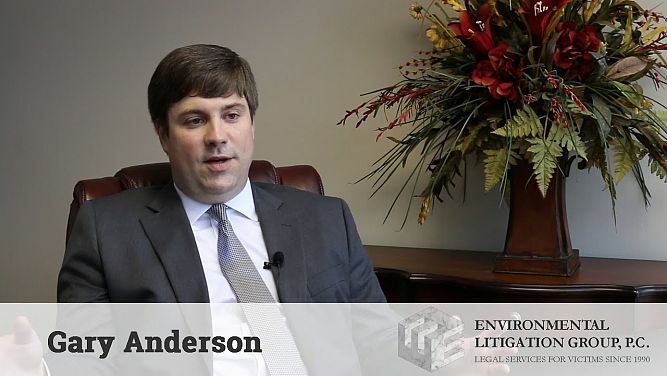 This page was last updated on April 14th, 2019 PST by Gary Anderson at Environmental Litigation Group, P.C.